WordPress is a content management system that can be used to create blogs, websites, online stores, and more. Many people know it as an easy way to build your own website without needing to spend a lot of time learning a more difficult program or hiring someone to create a site for you. WordPress is not just easy to use, it has also been around for over 15 years and benefits from being open-source, meaning it is always receiving feedback from the community that uses it in order to continue to develop and become better. How do you go about learning it, though? Everyone says it is easy, but many people aren’t able to just jump right in and start using something without a bit of instruction first. Luckily, there are plenty of WordPress tutorials for beginners available online that will help you get started. Why should you learn WordPress? The obvious reason is to be able to build your own website without needing to hire someone else to do it. There are many different platforms you can use to build a website, though, so what makes WordPress special? One thing is that it’s open-source, which means it is entirely free. You can buy paid plans to get more features, such as higher bandwidth, but if you are a beginner the free version should suit all of your needs. The other benefit of being open-source is that WordPress is constantly getting feedback from the large community that uses it. This, in turn, means that WordPress is constantly developing to become better. Maybe you remember years ago when WordPress was a blogging website and you’re asking yourself how a site designed to create blogs can be used to create websites. The answer is that WordPress has changed a lot over the years and is now able to support a variety of website styles. You can use WordPress to create web forums, portfolios, a website for your business, a job posting board, wikis, and just about any other type of website you can think of. And, because it has a strong foundation in blogging, it will be easy to incorporate a blog into your website if you want to, without having to add third-party file types extensions or widgets. In addition to supporting many types of websites, WordPress also supports many types of media. Whether you need to upload documents, images, video files, or audio files, you’ll be able to upload them onto your WordPress site. This isn’t limited to just the most common file types, such as .png, .jpg, .pdf, .gif, etc. You can also upload lesser known file types like .odt and .ogg. This is a huge plus, as you don’t have to worry about having to convert files in order to upload them. The main reason a beginner should use WordPress is that it is extremely easy to learn and use. You don’t have to take expensive courses that last weeks or months in order to start using WordPress. It has a user-friendly interface and a lot of WordPress tutorials for beginners are available online. There are books on WordPress as well as online classes you can take. Many people also know how to use WordPress and would be more than happy to show you how to get started. If the online route is more your style, though, you can find courses available on LinkedIn Learning. 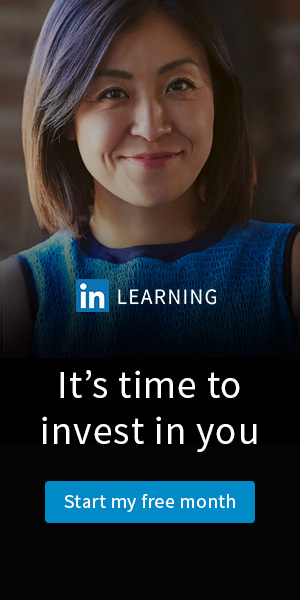 LinkedIn Learning has been part of LinkedIn for over two years now. It is designed to be an easy to use online platform that encourages learning among its users. 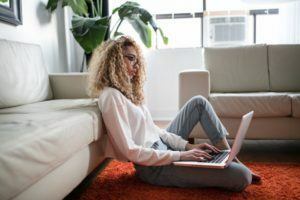 As the largest online professional network, LinkedIn knows that career fields are ever evolving and that the skills you needed for a certain job ten years ago just won’t cut it anymore. Those who work at LinkedIn see what kinds of jobs candidates are searching for as well as what skills employers want. This puts them in a unique position to be able to offer courses in subjects that will actually benefit the student. LinkedIn Learning has over 9k courses available. These courses are taught by experts in their fields. No matter what your career field is, you are sure to find something to suit your needs, as classes are available in many different areas such as programming, art and design, business, and even multiple foreign languages. If you are already a LinkedIn user, LinkedIn Learning will also suggest courses for you to take based on your career field and job search history. 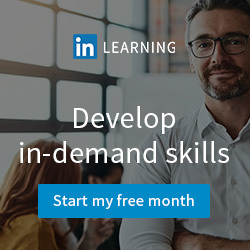 If you want to grow and adapt to the ever-changing job market, taking a course on LinkedIn Learning is a great way to keep up and always be on top of the skills you need to thrive. LinkedIn Learning has many different WordPress classes to choose from, at all levels. If you are a true beginner and want to understand the very basics on how to use WordPress, a course like ‘WordPress 4 Essential Training’ is a good place to start. This class is designed to help you get started with WordPress right away and make the most out of your website. It includes 5 ½ hours of video content, making it easy to fit this into your schedule over the course of a week or so while still having enough information to properly teach you WordPress. You will start from the very beginning: the course begins with a basic intro as to what WordPress is and then moves on to showing you how to install it. This is a great step for anyone who considers themselves “technologically challenged” and is one that many courses skip, assuming users can figure it out themselves. You’ll learn how to use the admin panel, text block editor, toolbar, and the post editor. The course goes over the difference between posts and pages, how to use categories and tags, how to publish your posts and schedule them, and how to upload different types of media. You will obviously want to have some sort of theme or design for your overall website and this course teaches you all about how to create that. Once you have the most basic skills you need down, you will also learn how to add plugins to your website and you’ll learn all about the configuration panel so you can have maximum customization. This course covers a lot of content and is truly the best to start with for any beginner. Are you wanting to use WordPress to build a website for your small business? Check out ‘WordPress DIY: Small Business Website.’ This course is not as extensive as the introductory course mentioned above so you may want to take this following that one in order to get the most information possible. This course is still designed for beginners but it has an obvious focus on beginners who want to use WordPress to build a business website. It has about 2 hours of video content as well as transcripts for all the videos if you need them. You will begin preparing your small business website by first setting goals for the site. You want to have a clear idea of how your website needs to function and what you need it to do before you can start building it. You will then start to build the website by adding content, making a menu, and selecting a theme. Selecting a theme is especially important as not every theme works for every type of business. The course will help you to pick a theme that is suitable for your needs. You will also learn how to further customize your website using widgets and plugins. These can be used to add contact forms, calendars, portfolio galleries, and more. Once you have all that down, you will go over how to test your website to make sure it works properly. After that, you will be ready to go live and enjoy your new business website! Being able to build a website is an important skill for anybody to know. There is an increasing number of small businesses and freelancers out there who can benefit from having a website. Being able to create websites is also a valuable skill that will set you apart to employers. It can also just be fun! 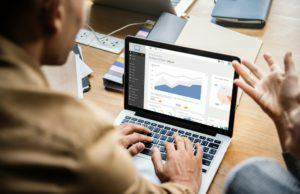 Blogging is a popular way to connect with people, whether it be family and friends you don’t see often or strangers who share similar interests to you. WordPress is an excellent platform to start that vacation, beauty, or writing blog you’ve been thinking about. The tutorials available online are designed to get your website up and running as quickly and as easily as possible. Once you’ve moved beyond the basics, there are even more advanced classes you can take to further increase your knowledge about WordPress. Whatever your reason for wanting to learn how to make a website, you’ll be able to master WordPress by watching WordPress tutorials for beginners.